Tedros Adhanom Ghebreyesus from Ethiopia has been elected by the 70th World Health Assembly to serve as Director General of the WHO. 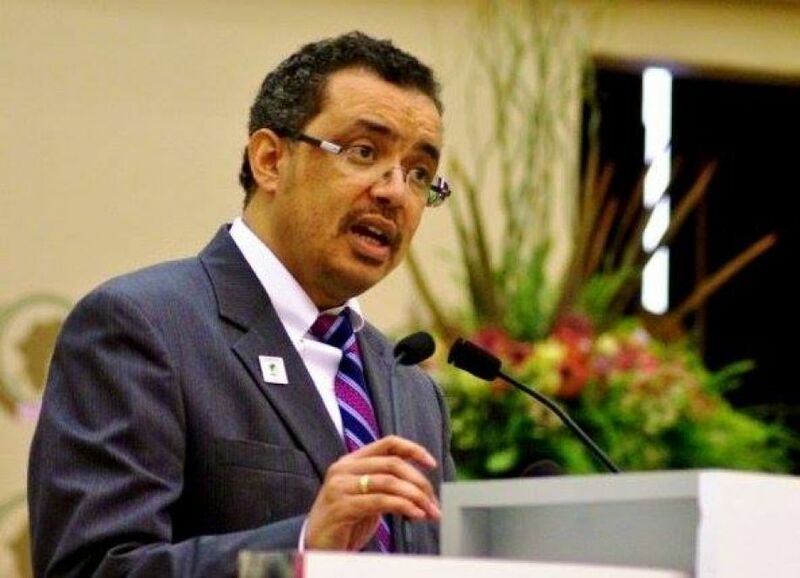 Tedros has served in the government of Ethiopia as Minister of Health from 2005 to 2012 and the Minister of Foreign Affairs from 2012 to 2016. The twenty- sixth ordinary session of the Assembly of the African Union endorsed his candidature for the election of the Director General of the WHO as a sole African candidate in January 2016. During its 140th meeting in January 2017, the Executive Board of the WHO shortlisted Dr. Tedros as the front runner out of six candidates through two rounds of secret voting. In July 2009, he was elected Board Chair of The Global Fund To Fight AIDS, Tuberculosis And Malaria for a 2-year term. Previous James Bond Actor dies after battling with Cancer.